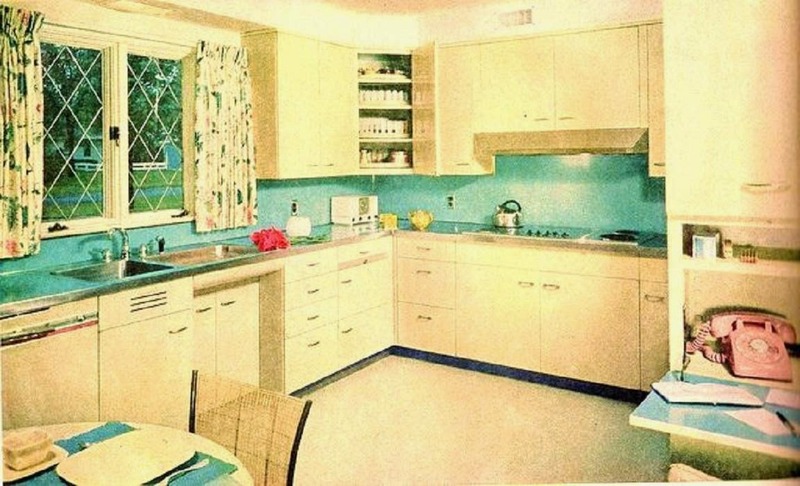 What an amazing vintage kitchen. Those gleaming white steel cabinets with those lively turquoise counter tops. This kitchen just looks like all kinds of happiness. It even has a pink Bell rotary desk phone! Perfection. 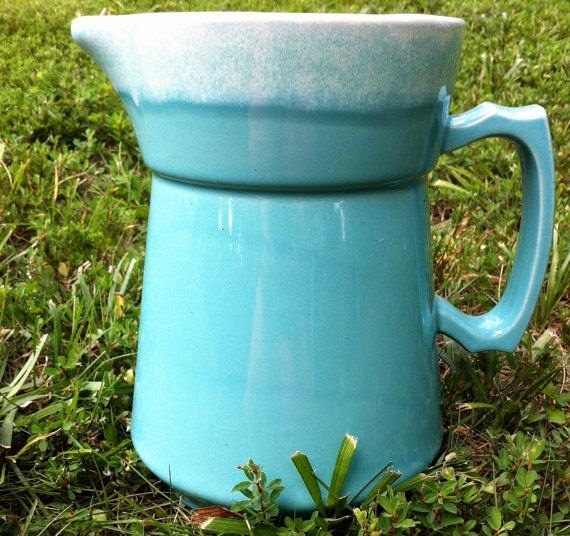 I have been stalking around eBay and Etsy looking at drip pottery, as of late. 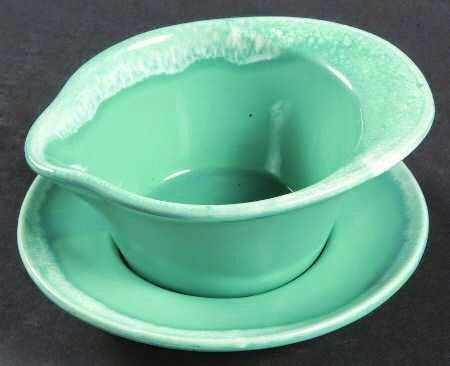 The thing is I have a vivid memory of turquoise drinking glasses from my great aunt's home. And I thought they were a product from Hull Pottery. The Hull Crestone pattern. So I have been roaming eBay looking for the matching drinking glasses. 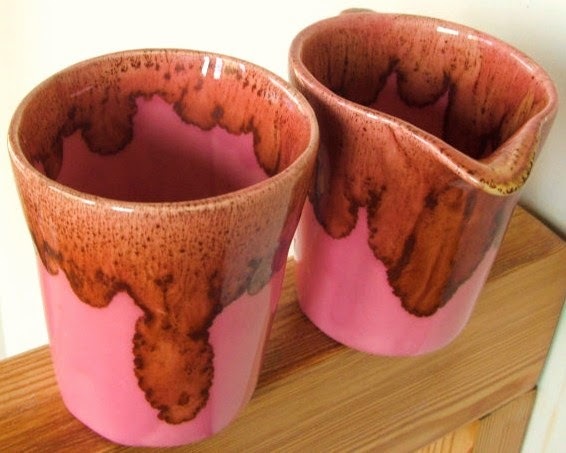 I had heard this pattern called drip pottery. But that seems to be a slang name for it. But had no luck in finding any to see up close. image from here... and currently for sale too! So I had kept on poking around looking for the drinking glasses I loved... then I saw them! Image my surprise, when I realize they were not part of the Hull pottery line. LOL! 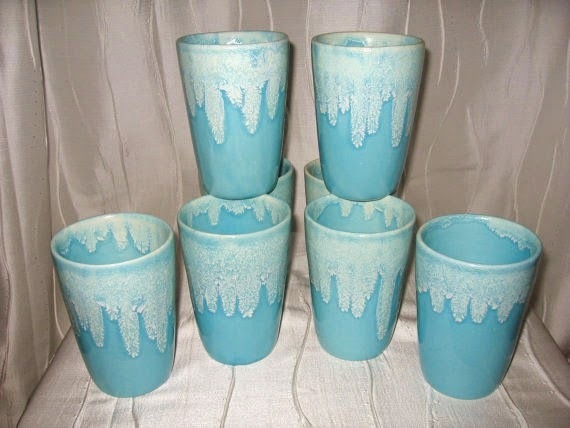 These amazing turquoise pottery glasses are actually part of the Winart Pottery line. A hard to find pottery, at that! No wonder, I have not stumble upon them. It seems that the turquoise pieces from this Winart line, is not exactly plentiful around these parts. Which is odd in a way. Winart Pottery was made in Oklahoma. And that other Oklahoma pottery, made by Frankoma, is alllll over the place here in Texas. Seriously. But sadly, the Winart Pottery is not. So I went looking for other pieces, just to get an idea what there is to find. And it's not really alot. Yet the things I am finding are pretty amazing. These color pieces are all kinds of pretty. 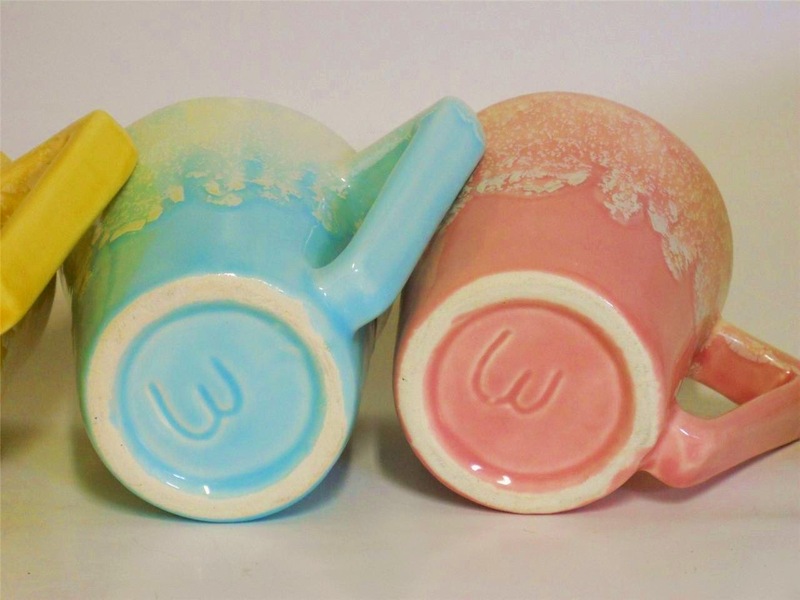 I love these sassy pink with the brown drip.... it looks like a creamer and the sugar bowl. 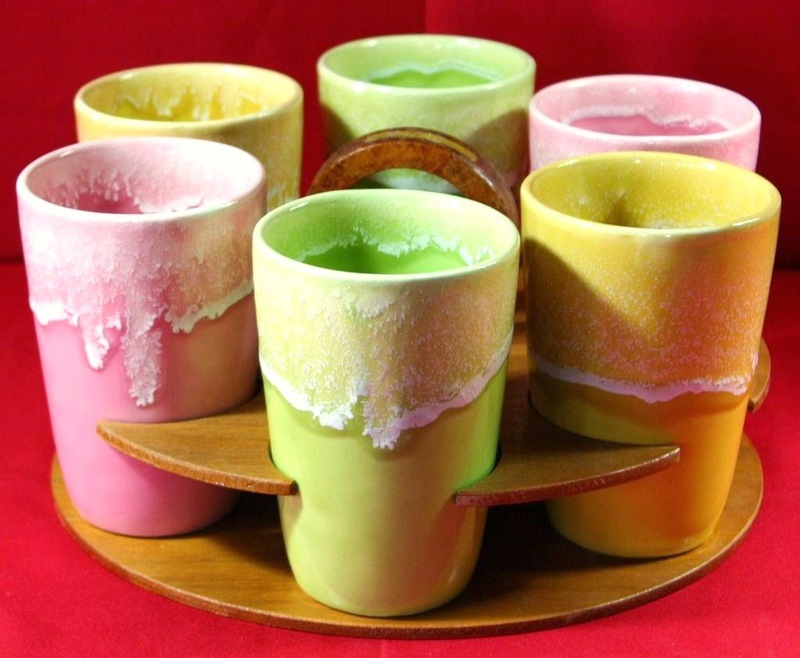 The Winart Pottery has these fabulous drinking sets with their carrying tray. Which is a little gift, for hauling six full glasses around the kitchen. 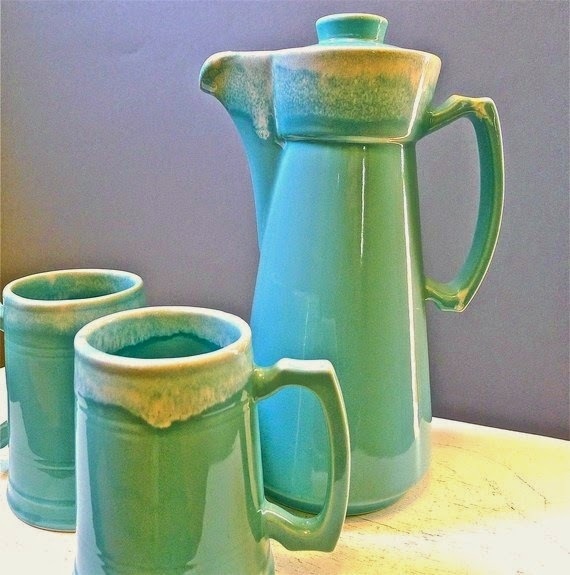 And I am loving that lime green pottery! Then of course there is a marvelous set of coffee mugs with their own wood tray too! I am really loving those green glasses! Now both the Winart Pottery and the Hull Pottery had this drip pottery design in brown with a off white drip. Which I saw more than enough of as a child. Even my Mother had the brown version of this stuff. But I am a girl who loves color in her kitchen. 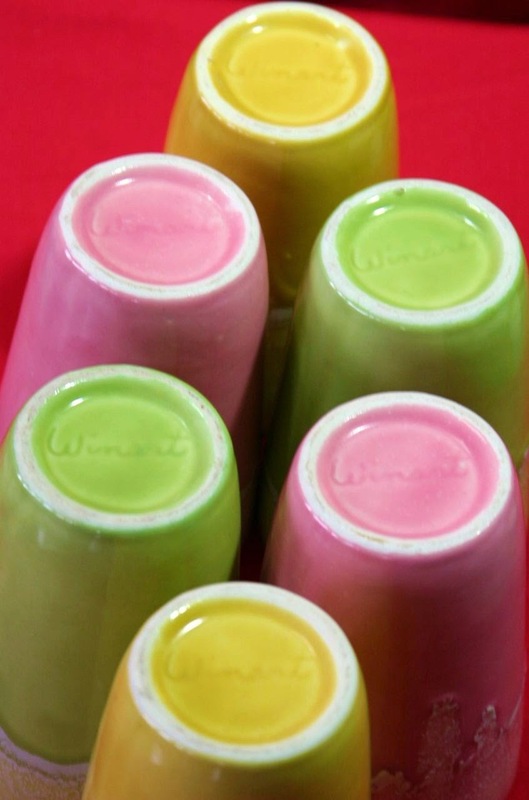 So I will continue to hunt for the turquoise set of Winart. And maybe even a little of that glorious green!